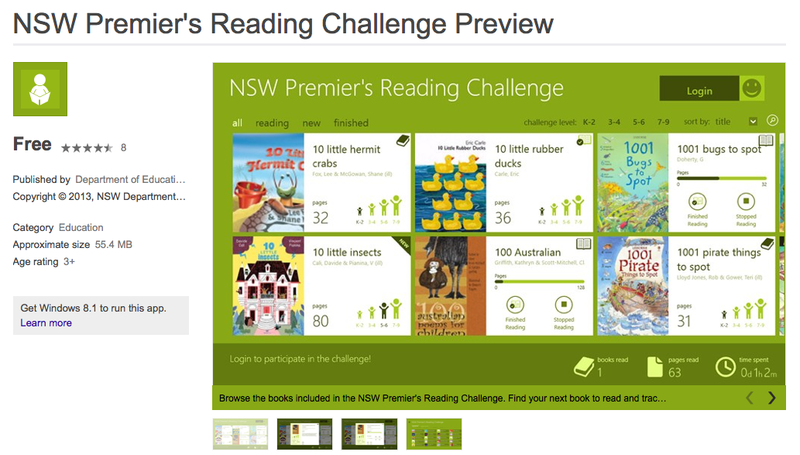 The Premier’s Reading Challenge (PRC) is on again this year, with participation from NSW, Vic, SA, Tas, and ACT. The Qld and WA ones seems to be on at a different time of year. 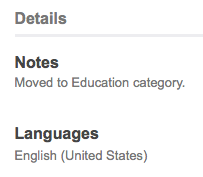 And I can’t find info for NT. 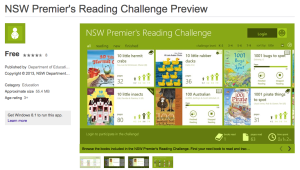 I’m interested that this year NSW teamed up with a technology company and create an App to track your reading. As it happens, that technology company is Microsoft, and the software is only available for Windows 8. Another interesting result of this team up, is that the software is only available in US English. A bit strange for a competition to encourage Australian children to read. And, I really hope the related Apps are aimed at parents, not their children. I don’t think K-9 students need the RTA Car Driver Knowledge Test, and I think encouraging them to use the NSW Lotto application is a very bad idea. In case you don’t believe these screen shots all came from the same page, here is a PDF. This entry was posted in Social, Tech and tagged book, Microsoft, reading, Windows. Bookmark the permalink.